Gateshead & South Tyneside LPC have been working with the CCG on the new scheme and are delighted it has now been launched. We believe that the success of the scheme will lead to the scheme being expanded to include many more conditions and treatments. Both the CCG and the LPC would like the service to be available from all pharmacies in South Tyneside so that when a patient becomes aware of the service they can attend anywhere. Below is a step by step guide to registering your pharmacy for the service along side other useful resources to help with the running of the service. 1. Familiarise yourself with the reasoning and rational of the service. 2. Download the SLA, Read and Sign it. For your convenience you can also download the signature page as a separate file. 4. Log on to PharmOutcomes and fill in the Think Pharmacy First Registration Service. 5. Download Copies of the Think Pharmacy Forms and familiarise yourself with them. 6. Ensure you keep a copy of the forumlarly and conditions available through the scheme. 7. Once the PharmOutcomes Registration is accepted. The Full Think Pharmacy First Service will appear and you are good to go. ﻿8. You will need to use your professional judgement to to diagnose and prescribe﻿. 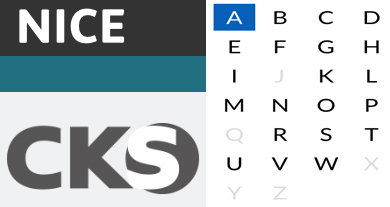 For your convenience we have included a link below and on the pharmoutcomes side bar to the Nice CKS (Clinical Knowledge Summaries) guides to help. As a general rule if you feel confident to sell the product over the counter for a particular condition listed in the SLA then you can prescribe it on the scheme. However please note that if the patient was already going to purchase a product they should conitune and not be transferred on the scheme. Patient needs to consent to sharing of Data for the running of the scheme. Pharmoutcomes will automatically produce an invoice at the end of the month and submit it to the CCG on the 5th of the following month. The Marketing activity will start in July to patients and healthcare professionals who may refer in. There are 2 versions of the form. You are free to choose which ever you prefer. Please note the only difference between the 2 forms is size.